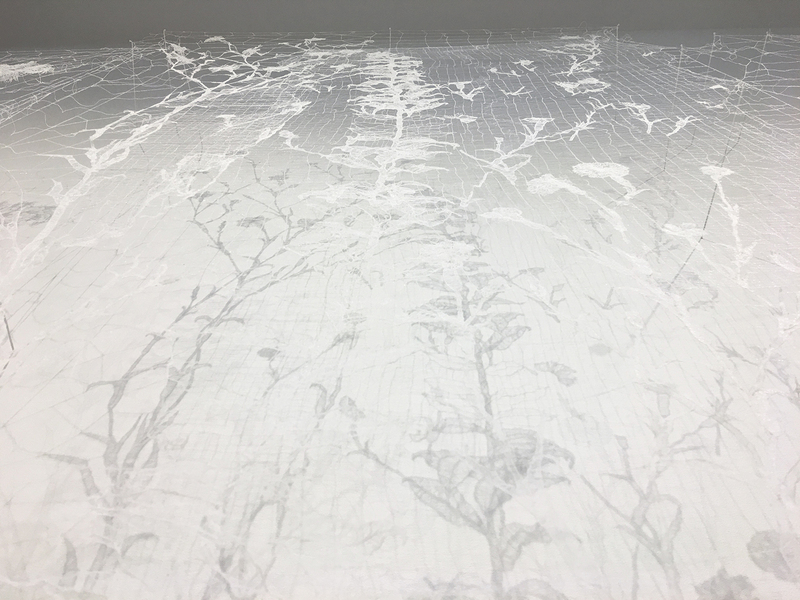 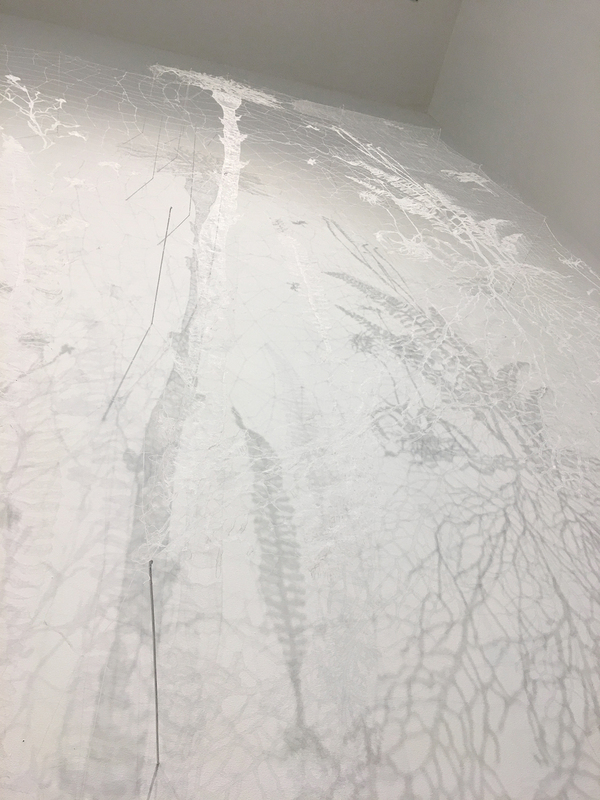 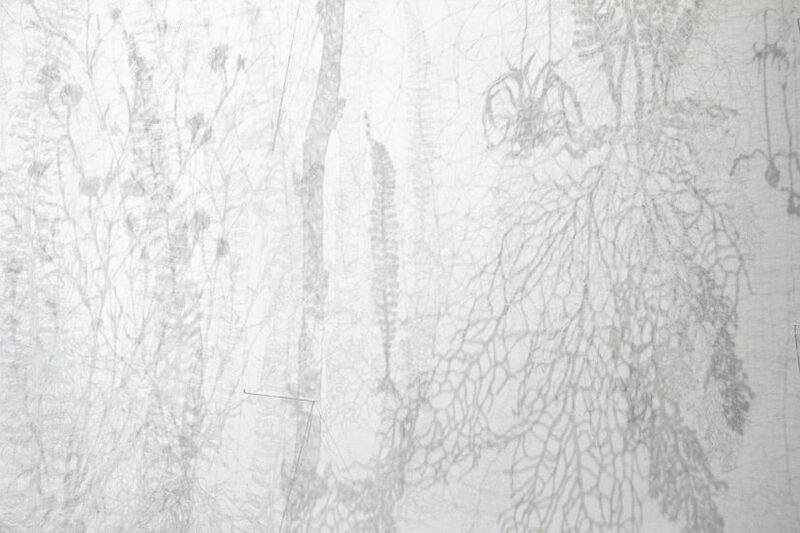 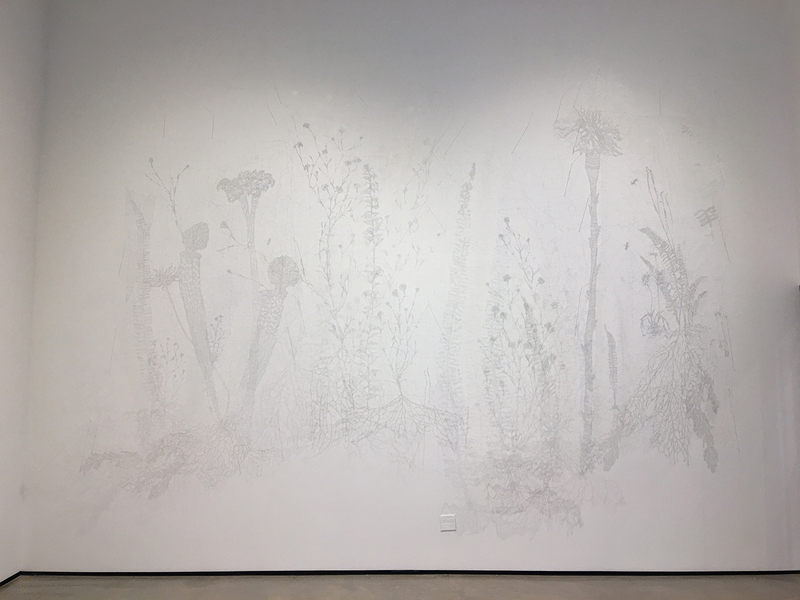 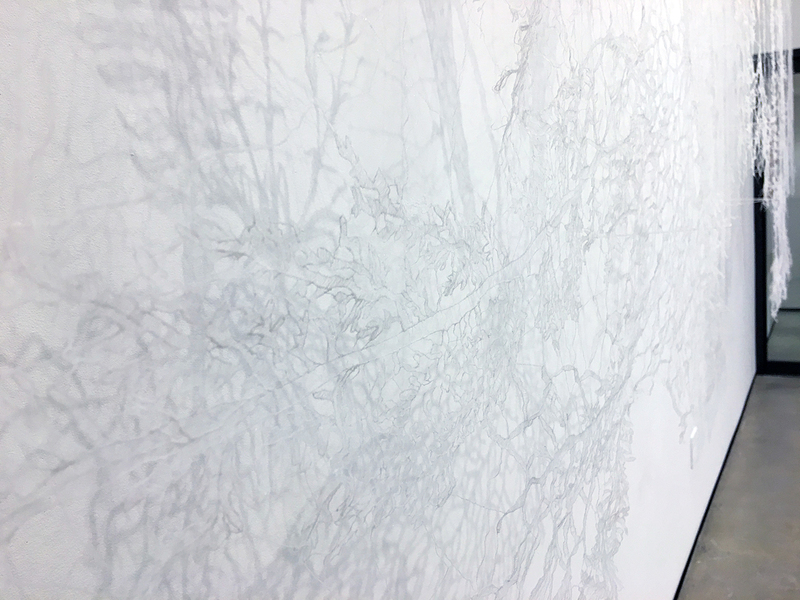 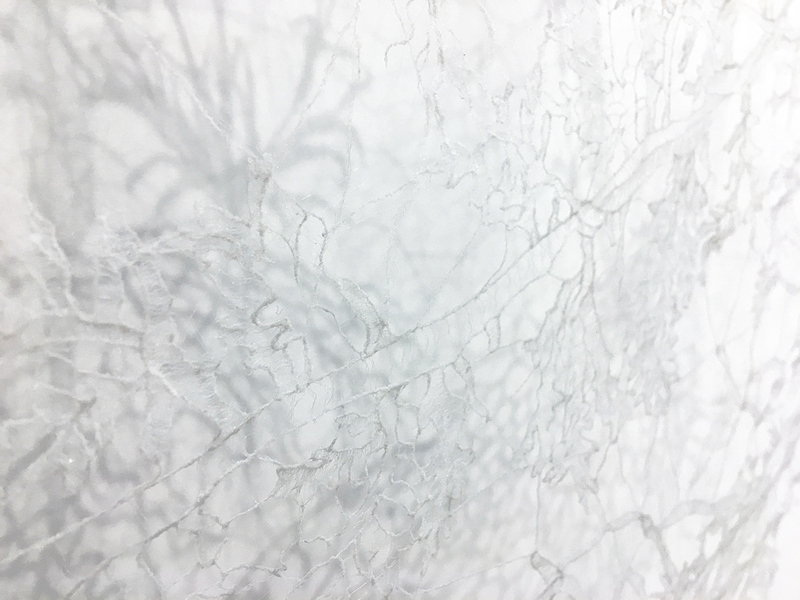 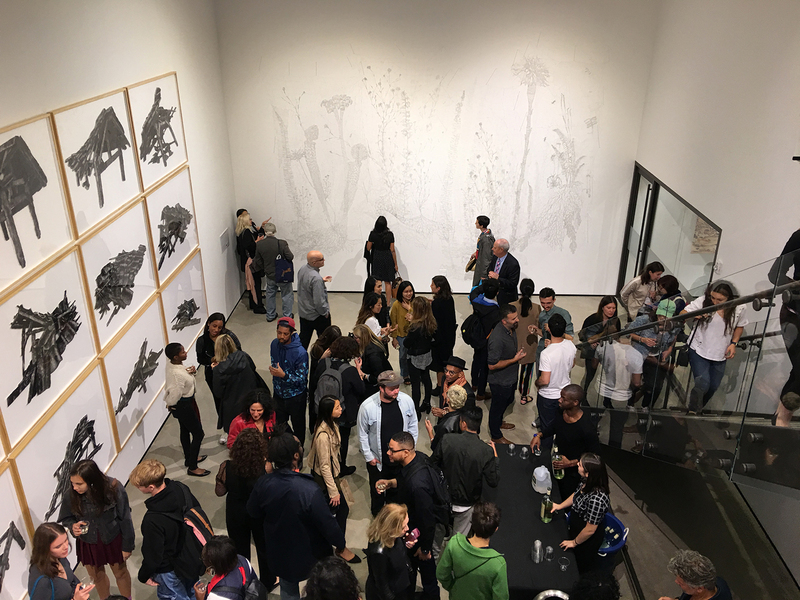 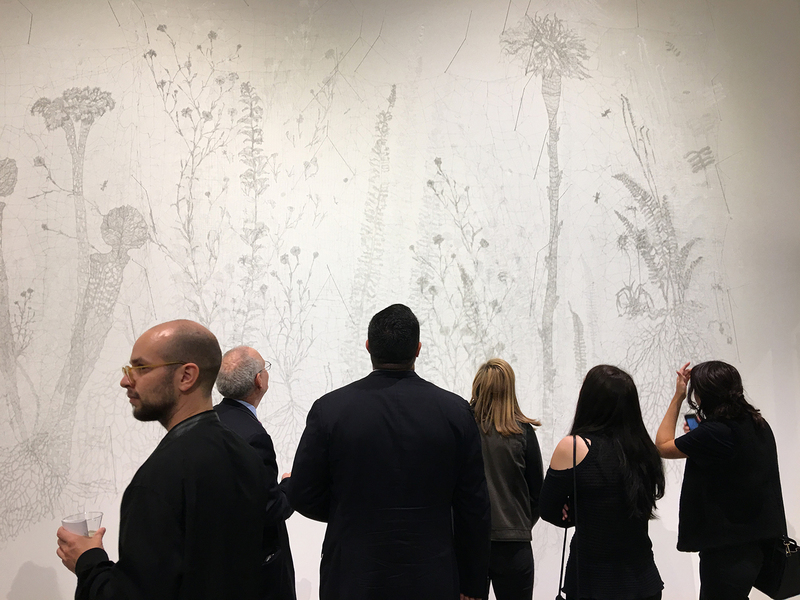 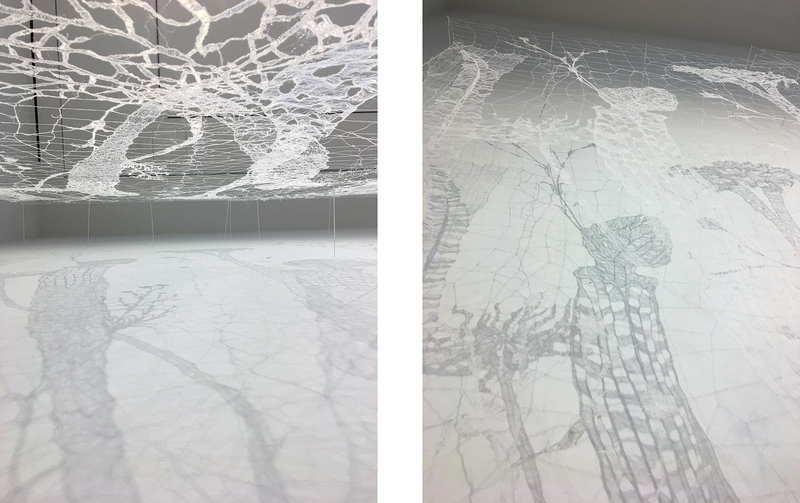 Specter of images (in memory of the gardener) appears as an unraveled tapestry of white web-like threads which converge, diverge, knot and form into partial images of plant forms. 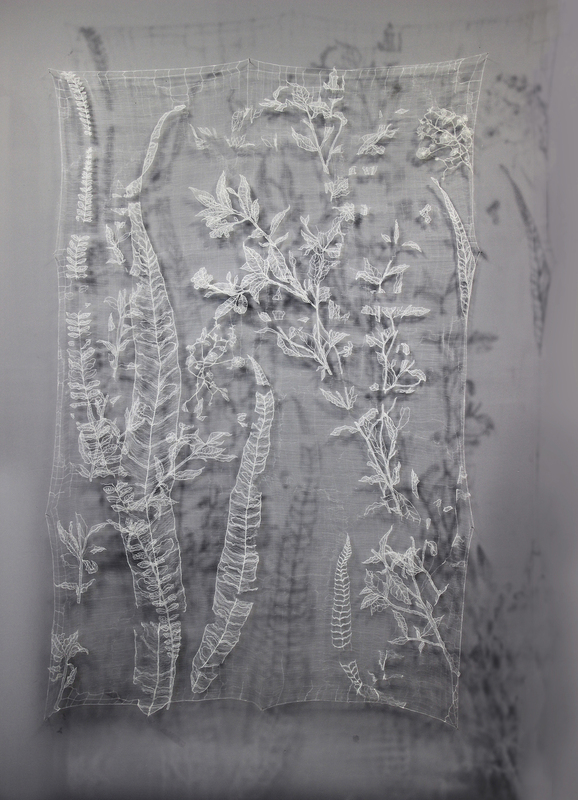 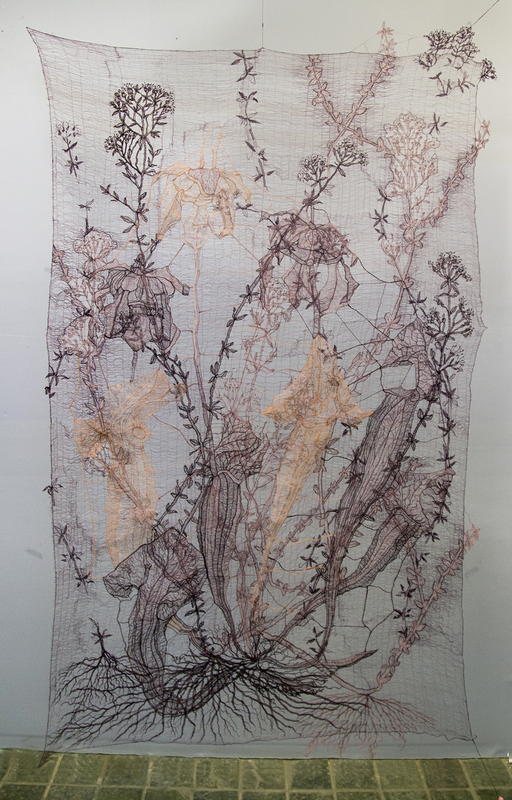 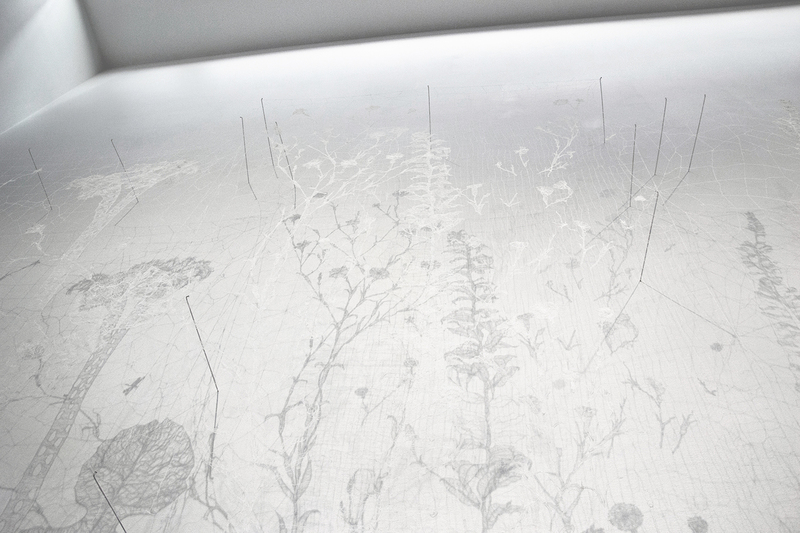 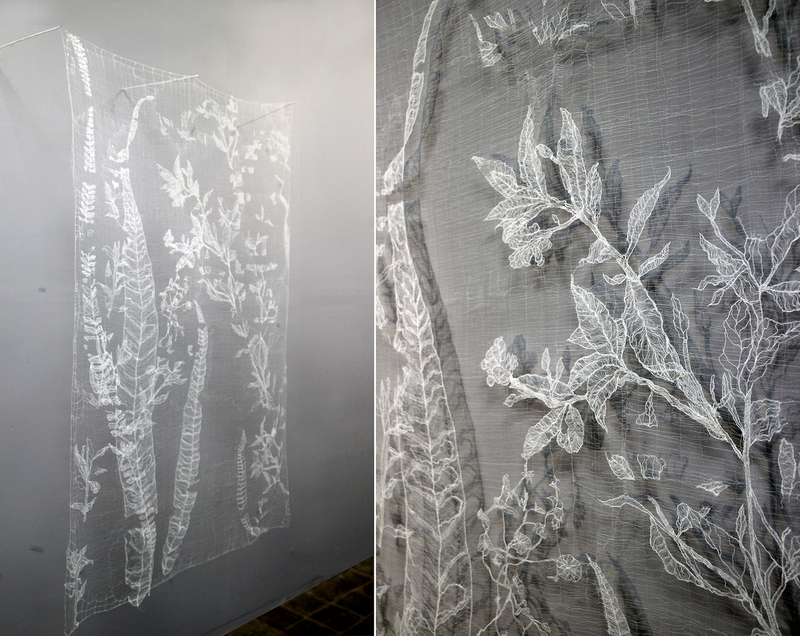 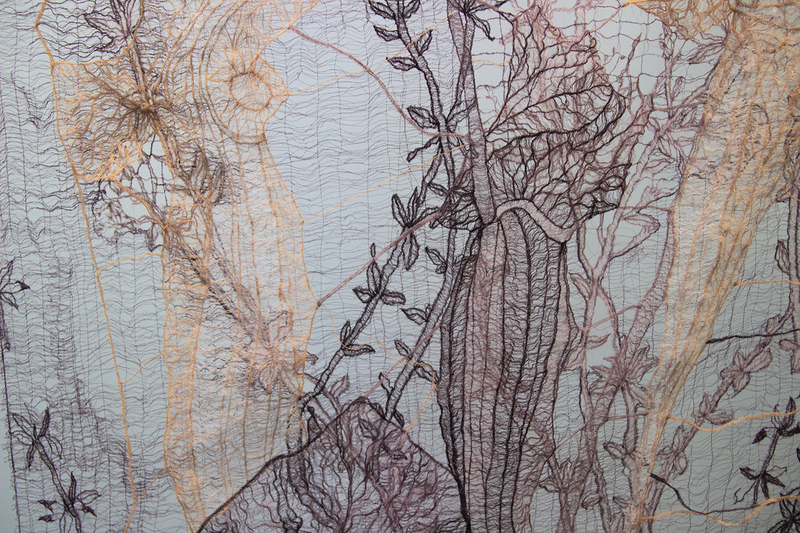 An homage to the love of embroidery and the memory of the gardens created by the artist’s mother and a Swiss hermit (both since deceased), the disintegrating plant forms come together trying to create the semblance of a whole. 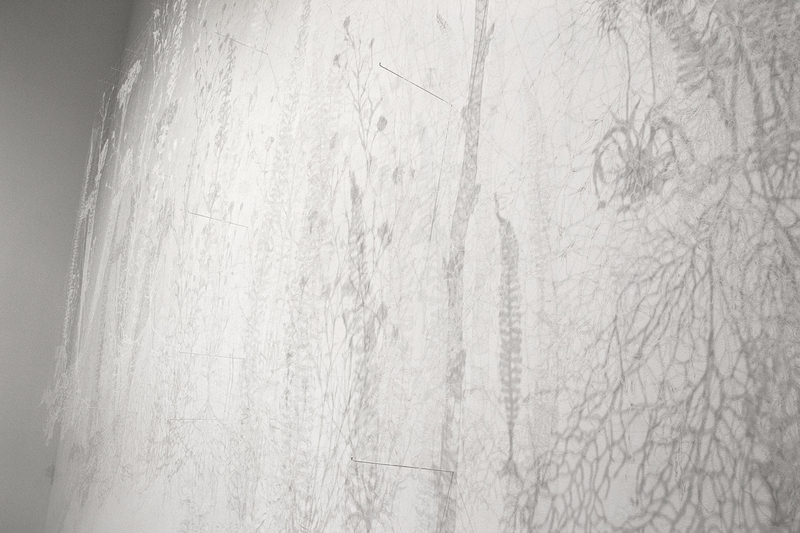 The holding of fragments and the releasing of form both speak the language of memory- partially preserved, flattened and ghost-like- generating a levitating embroidery on air or perhaps they speak the language of a potential future – as the image awaits forming up and the part expresses a desire for the whole. 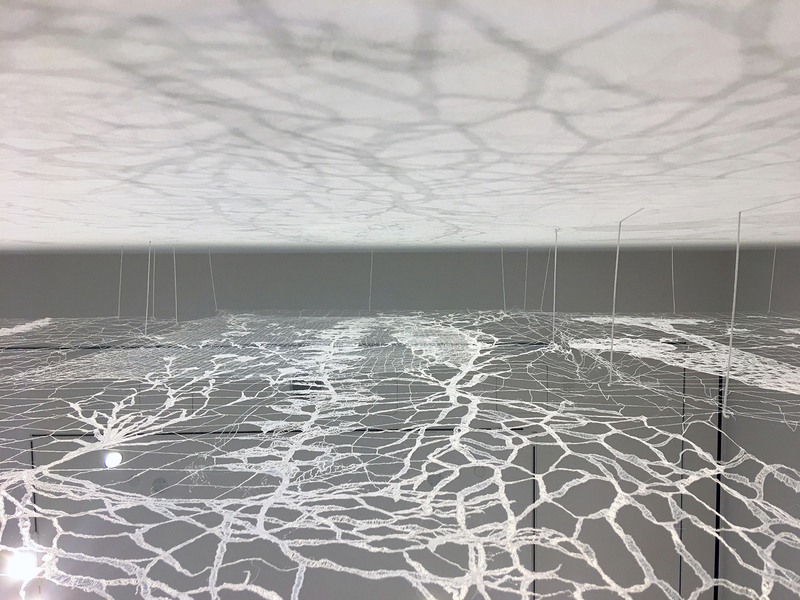 This weightless image of future-past is a seeking of refuge in the transient image – a waiting to re-join the world of perceived form or an un-turning of the knots which created form to allow a dissolution back to the material from which it came.